ITI Ltd Jobs Recruitment Notification 2018.Indian Telephone Industries Limited inviting applications for the positions of Trainee Technical Assistant Jobs.Interested and Eligible candidates can apply for the positions. Total number of posts to be filled in ITI Bangalore is 50 of Trainee Technical Assistants. Diploma in engineering in electronics/ ECE/ EEE/ Computer science/ IT can apply. Maximum age for Gen/UR candidates is 30 years. Age relaxation for SC/ST is 05 years, OBC is 03 years. On basis of interview test candidates will be selected. 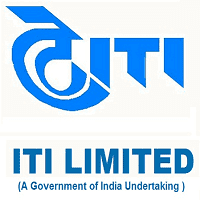 Mode of applying for ITI Limited recruitment is through online. The online portal link will be active from 11th September 2018 to 25th September 2018.
http://www.itiltd-india.com/careers is the link to apply and send the hard copy to Dy. General Manager-HR (NS &M) ITI Limited; Network Systems Unit, F-100, Dooravani Nagar, Bangalore-560016.